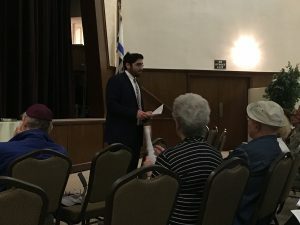 On Thursday, July 26, Sinai Temple’s newest clergy member, Rabbi Sam Rotenberg, led his first Thursday Morning Torah class. 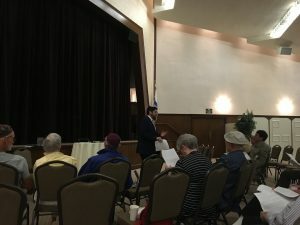 Approximately twenty community members joined him to explore this Shabbat’s text and its interpretations. This week’s discussion revolved around review of the two variations of the Ten Commandments. In his very short time at Sinai, Rabbi Rotenberg has quickly won over the hearts and minds of many members of our community. We are excited to have him as a spiritual leader, available to our members and the greater Jewish community community. To learn more about Rabbi Sam Rotenberg, click HERE.